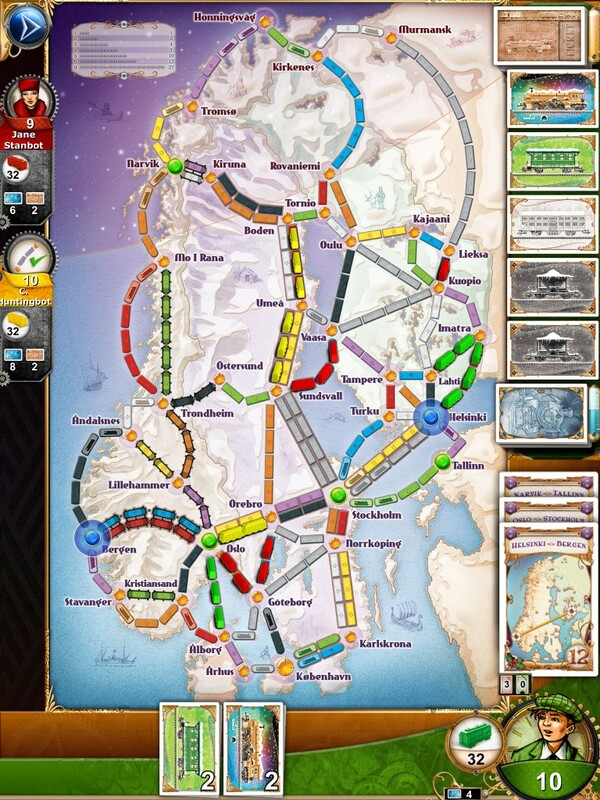 « Splendor digital: best app of the year at the BGG Golden Week! Locomotives can’t be used as wild cards to claim regular routes anymore: they can only be used on tunnels and ferries. If you are missing a locomotive to claim a ferry route, you can replace it with any three cards of any color. Finally, one of the routes will be particularly difficult to own, as it will require 9 train cars to be acquired, which is the longest Ticket to Ride ever had so far. Its other characteristic is that even if you don’t have 9 cards of the same color, you can fill any missing train car with any 4 cards of other colors. The Nordic Countries vertical map promises high tension games and fierce battles to be the first to own the routes essential to your strategy. Will you be ingenious enough to become the greatest railway company of Nordic Countries? Nordic Countries is launched at a special launch price with 50% off standard price. Last but not least you can also buy the Nordic Special Pack including Europe, USA 1910, Legendary Asia, Switzerland and the brand new Nordic Countries extension and save 70%! 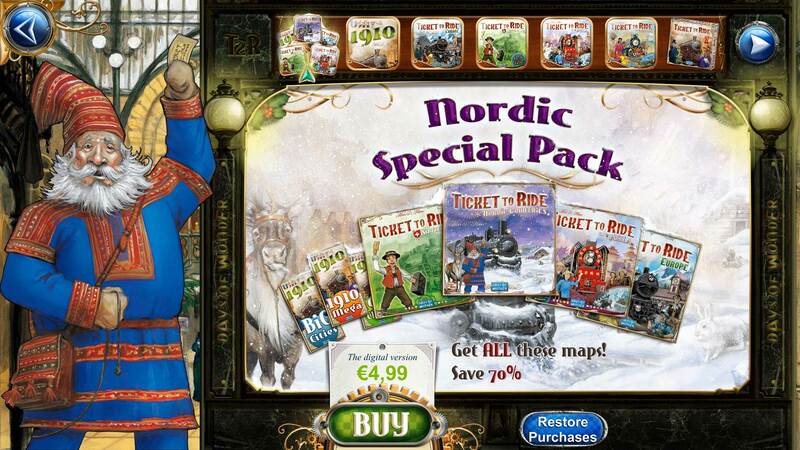 The Nordic Special Pack is a time-limited offer, don’t miss this opportunity to increase your map collection! Note that the India map is not included in the Nordic Special Pack but you can still get it as a stand-alone. Alan R. Moon’s official Ticket to Ride maps with original artwork in full high resolution. Online Play (WiFi, 3G, 4G) against other iPhone, iPad, Mac (non-exhaustive list). An unparalleled online player community with tens of thousands of live opponents. Solo play against up to 4 AI players. Pass-and-Play with up to 4 live opponents (can include AI players too). lso discover the 2 most recent vertical maps, for games ever more intense: India available only recently, and the brand new Nordics map tracing the railway routes of Northern Europe. Detailed, interactive turn-by-turn, in-game tutorial. Contextual in-game Conductor’s Notes to help you master all the maps. True cross-platform: players can challenge on other supported platforms including Mac, iPhone, iPad. This entry was posted on Monday, April 25th, 2016 at 21:19 and is filed under Days of Wonder Online, Games, News, Ticket to Ride. You can follow any responses to this entry through the RSS 2.0 feed. Both comments and pings are currently closed.